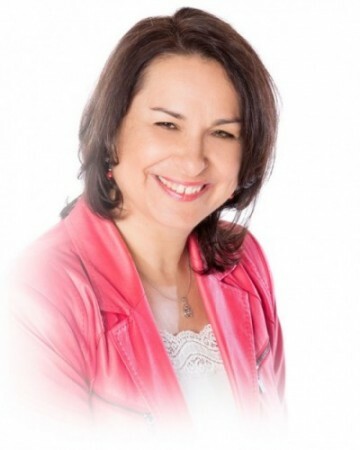 Monika Ferenczy was born in Montreal and educated in French and English public, separate and private schools in Quebec and Ontario, obtaining her BA and BEd at the University of Toronto and her MEd with a concentration in Leadership in Education from the University of Ottawa. She is an educator with over 25 years’ experience in all four school systems in Ontario, in three major regions of the province. Having taught in the primary, junior, intermediate and senior divisions and in French language and English language public and separate school boards in the Greater Toronto Area, Southwestern Ontario and Eastern Ontario, she has expertise with French Second Language programming (Core French, French Immersion) and French First Language curriculum. She holds qualifications in English as a Second Language and Specialist qualifications in French Second Language and Special Education. As a school board Special Education Coordinator she supported staff and parents with special needs children, including autism, child and youth mental health, learning disabilities, school and program transition, liaison with post-secondary institutions and participated in various professional committees. Monika also holds Principal’s qualifications and an additional qualification in Education Law. She also has training in Mediation for Educators. Monika was an elected member of the governing Council of the Ontario College of Teachers (the regulatory body of the teaching profession in Ontario), she was Vice-Chair of the Discipline Committee and the Editorial Board for the publication Professionally Speaking. She served on panels of the Fitness to Practice and Accreditation Committees. In a consultative role with the Ontario Ministry of Education and the Ministry of Training, Colleges and Universities, Monika worked with parent groups and key stakeholders in education. She was instrumental in gathering French Second Language (FSL) stakeholders in the province to bring the first pilot program of the Intensive Core French initiative to Ontario (now called the neurolinguistic approach to second and foreign language learning). With her leadership, the re-organization of the French Second Language portfolio under the French Language Education sector of the Ontario Ministry of Education was a significant achievement in advancing provincial FSL policy and program enhancements. As an Educational Consultant, Monika provides information, support and coaching to parents new to the Ontario school system, new Canadians and parents of children with special needs. She has also led workshops and seminars for parents and educators at provincial and national conferences. She is qualified to evaluate students for academic assessments using standardized tools to supplement data obtained from school based reporting (Qualified for B1,Q1,Q2 gold standard assessment tools, Pearson/PsychCorp). Monika was also the Education columnist for Ottawa Woman newspaper for three years.